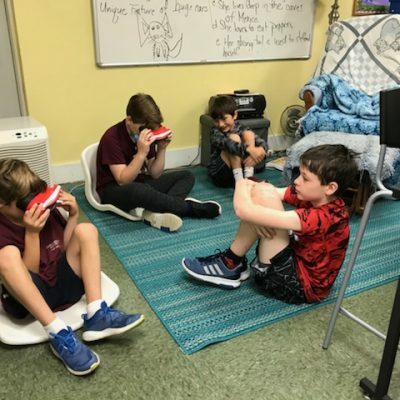 Cornerstone Academy utilizes technology in an innovative way in every classroom. We have a blended learning approach and use the flipped classroom to scaffold their lessons and units. 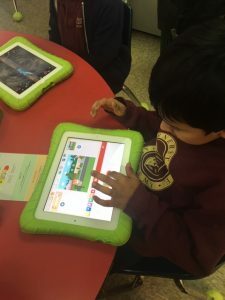 Each grade embraces unique technology incorporated into the curriculum. 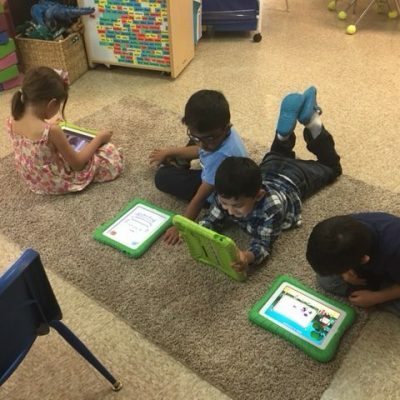 In Kindergarten we have iPads for each student. 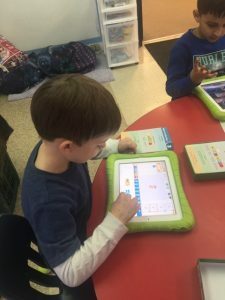 The iPads are an essential way to foster each student’s individual learning plan. 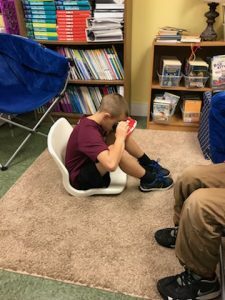 It allows the teacher to customize what each child will learn and discover, through our P.B.L (Project Based Learning) approach. P.B.L. 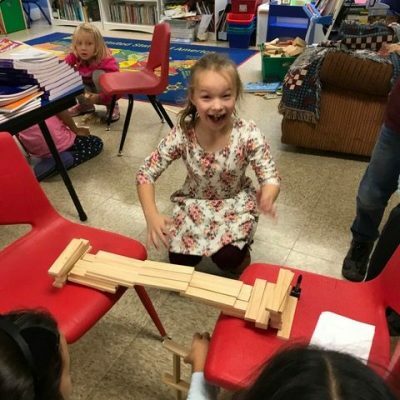 cultivates student driven curiosity that can then be extended on their own time, or as a continued long term project. Brainpop Jr. is also a staple in our classroom along with P.B.S kids. The students can access these apps on their iPad along with many other educational ones. Students love researching about animals and other S.T.E.M activities. 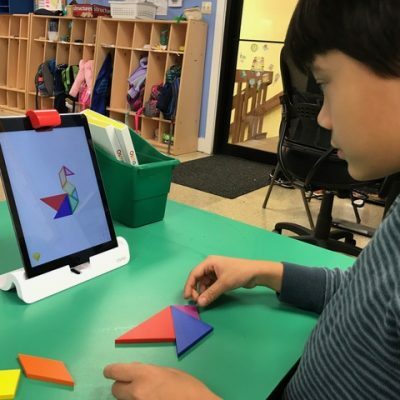 They love doing math with Osmo. We also have a Smart T.V. to Chromecast our favorite websites or videos at any time during the day. 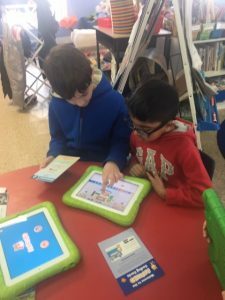 In Grades 1 and 2, each student has a Chromebook which they can use everyday. They begin practicing their typing skills to learn the keyboard and how to carry, walk and clean their Chromebook. 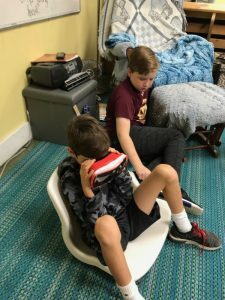 One example of a recent project is a Buncee they made with a partner to demonstrate their learning about famous artists after visiting the Leonardo Da Vinci exhibit at the Museum of Science, the culmination of a month long curriculum. Take a look at one they did! 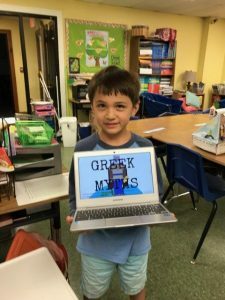 By the end of second grade, students will be prepared to type their writing prompts on a Google document which they can share with their teacher for immediate feedback. We also utilize the Smart T.V to Chromecast favorite videos and learning sites. 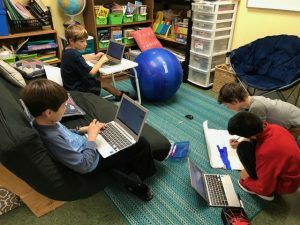 In Grades 3 and 4, each student has a Chromebook and engages with technology on the Smartboard and on their own devices. They love Wonderopolis Wednesdays and using Tweentribune.com to create current event projects. They are excited to do special projects each year through the www.cityxproject.com, a design thinking workshop for kids. 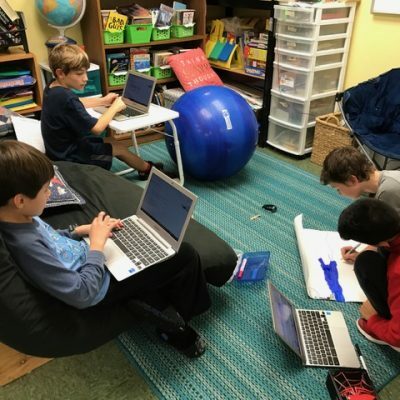 In Grades 5 and 6, each student has a Chromebook, and the classroom shares a Smart T.V and a Smartboard to enhance learning. 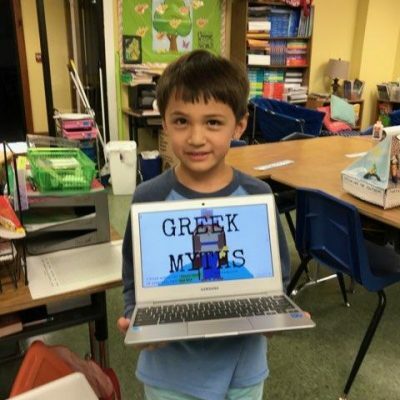 The students routinely post homework to Google classrooms and prepare Google slides for projects such as their Biome project. Students are also learning to post to Wikispaces. They love the Flipped classroom, as it allows each student to have tailored lessons and Khan Academy is a great resource for them. 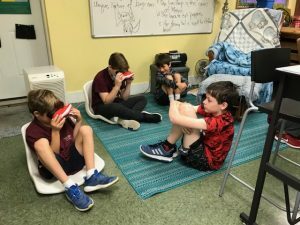 They take virtual field trips, which are a captivating way to experience their world. 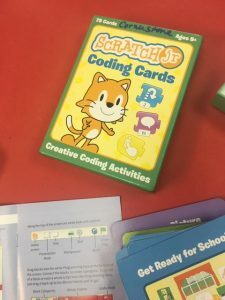 All of these techniques are the latest tools in technology that will prepare them with 21st Century skills. 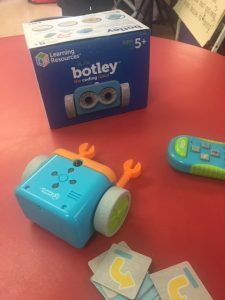 Our newest Kindergarten class member “Botley” the coding robot.